The exhibition "Alphonse Mucha: An Insight into the Artist" is a major retrospective of the renowned Czech Art Nouveau artist Alphonse Mucha. 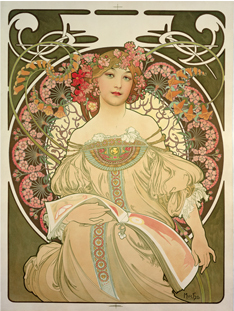 It will feature many works that have never been shown in Japan before, as well as a wide range of oil paintings, studies, sketches, jewellery and posters from the Mucha family collection, including iconic posters of the legendary actress Sarah Bernhardt, for which the artist is widely acclaimed. 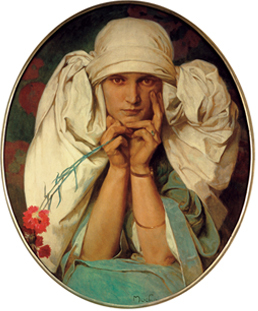 The exhibition is organized in collaboration with the Mucha Foundation, represented by John Mucha, grandson of the artist. 1900 and 6: Visions for Humanity. 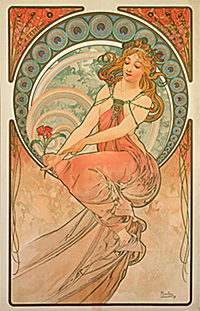 opportunity for all Mucha fans and art lovers to deepen their understanding of Mucha and his inner world.